Well, this wasn't part of the plan. 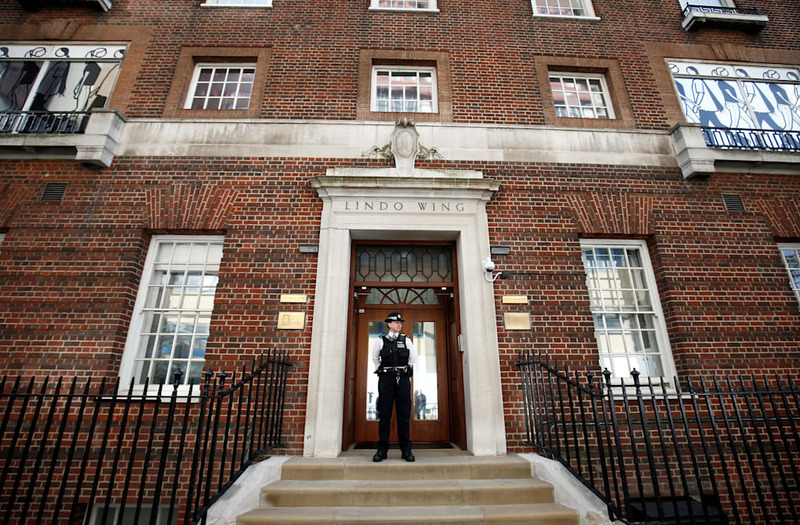 Photographers and journalists were eagerly waiting for Duchess Kate and Prince William to emerge from the Lindo Wing of St. Mary's Hospital shortly after she gave birth. One couple got the shock of their lives when they exited Lindo Wing on Monday morning and were greeted with the world's media right in front of them. While the unidentified couple was probably expecting a quick exit, they were met by dozens of photographers who took photos of them instead. And though they weren't planning to get bombarded with paparazzi, it sure is one interesting story to tell their newborn child years from now! What's more, they'll share a birthday with Britain's newest prince. 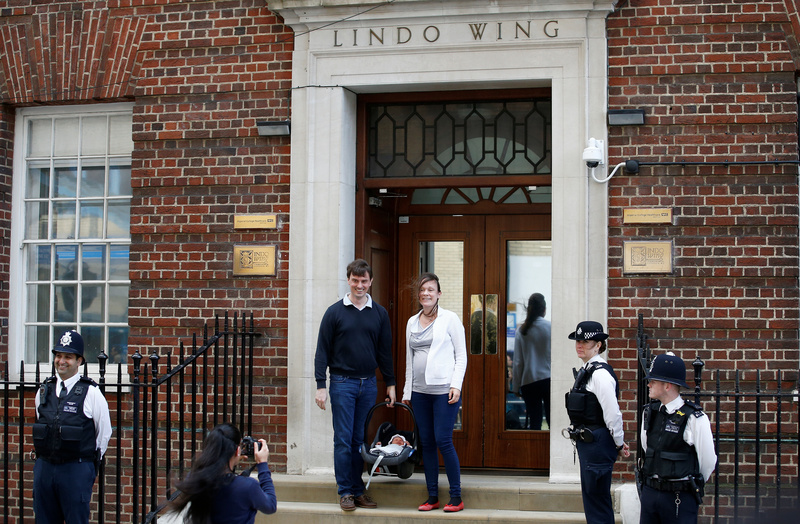 When the real royal couple emerged from Lindo Wing, photographers were ready! Duchess Kate paid tribute to Princess Diana a bright red Jenny Packham dress as she cradled her bundle of joy. Kate and William briefly posed for photographs before they made their quick exit en route to Kensington Palace. The name of their newest arrival has yet to be announced, but Arthur, James and Philip are top contenders! When asked by journalists when the name will be revealed, William said "soon." For more on the birth of the newest prince, watch the video above! Kate Middleton and Prince William's third child: See what the new prince looks like! Duchess Kate and Prince William introduce new prince on steps of Lindo Wing: See pics!